Fender “The Twin” amp. These “red knob” series twins are often overlooked because the styling isn’t too popular. 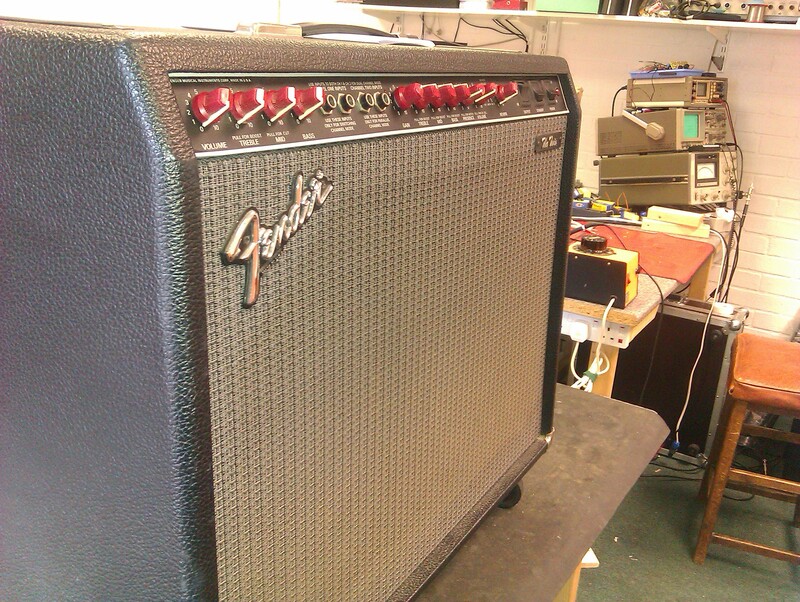 Fender “The Twin” amp. These “red knob” series twins are often overlooked because the styling isn’t too popular. This is a shame, because they are great amps. The drive channel is very good indeed, reminiscent of the Rivera designed Fender amps.